Collection is from Dol de Bretagne or Avranches rail station. Departures are from Bayeux station. Normandy, home of William the Conqueror, has always had strong connections with the English-speaking world; from 1066 when the Duke of Normandy laid claim to the English crown, until June 1944 and Operation Overlord when combined American, Canadian and British Commonwealth forces launched the biggest seaborn invasion ever seen to liberate France from Nazi occupation. The land itself is rich and fertile, the valley sides containing the lush green pastures are home to the distinctive black-and-white cows which produce the milk used to produce such cheeses as Livarot, Pont l’Eveque and of course Camembert; interspersed with these are the apple orchards from whence come the famous cider and calvados apple brandy. On the coast, fishing boats land the seafood which is a big part of the local cuisine. There is history in abundance, from the gothic cathedral of Bayeux and the renowned Bayeux tapestry to the ‘merveille’ or miracle which is the astonishing island monastery of le Mont St-Michel; in between are countless romanesque and gothic churches and the medieval timbered farmhouses so typical of the region. More recent history is revealed in the museums and exhibitions of the D-Day beaches, the austere world war two cemeteries, and the remains of landing stages and gun emplacements. 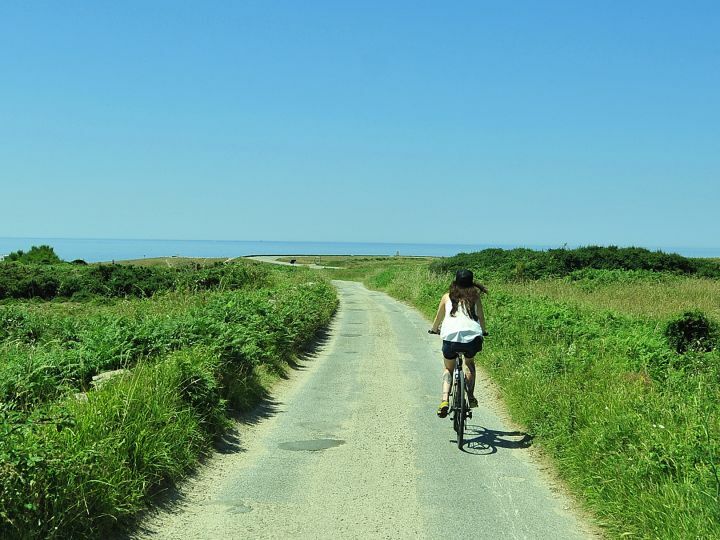 Those to whom natural beauty is more important will not be disappointed with the many different landscapes – sweeping sea views, marshes criss-crossed with canals, and countryside patchworked with fields, woods and orchards. 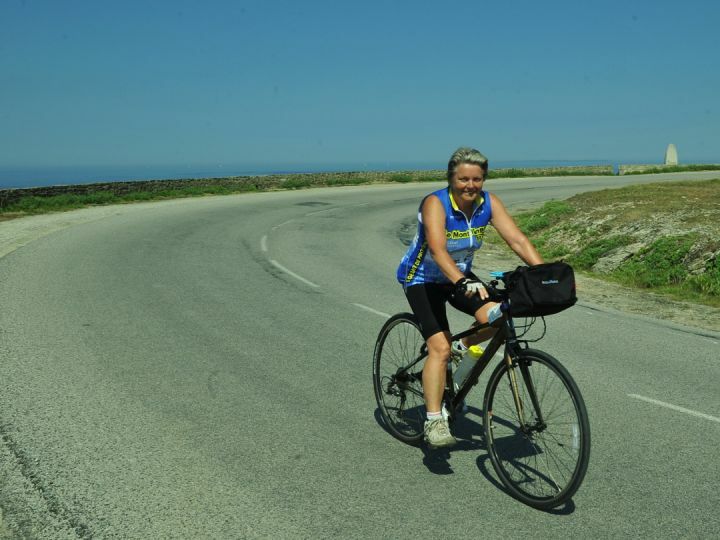 The French Cycling Normandy tour will guide you the unmissable sites and all the magic of this very special part of France. After collection from Dol De Bretagne or Avranches train station. After settling in at the hotel we match everybody with their bikes and make all necessary adjustments for the perfect fit. 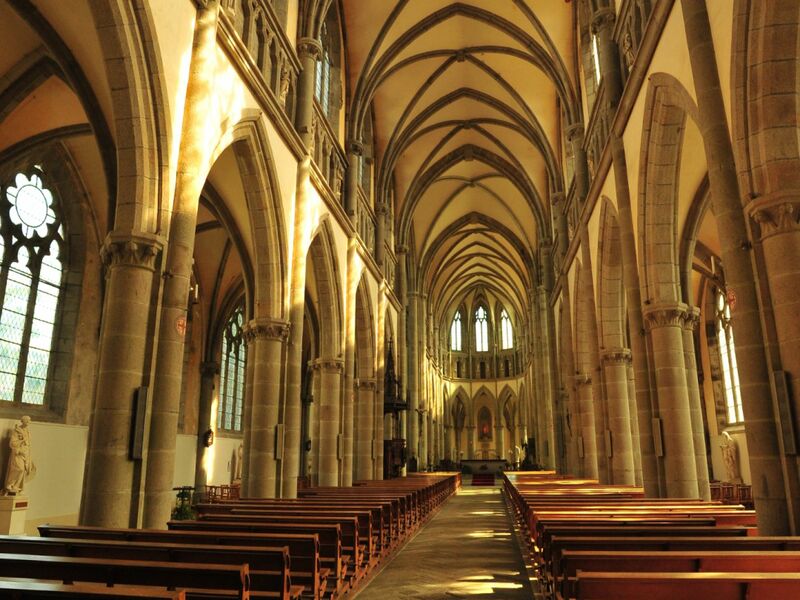 Our afternoon ride takes us to visit “Le Merveille”, the astonishing abbey on Le Mont St-Michel. The main existing structure dates from the 13th century but parts date back to the 6th and 7th centuries. After returning to the hotel, a short minibus ride takes us to a superb restaurant overlooking the bay and le Mont. Our first day’s riding takes us around the bay to the town of Avranches, where General Patton broke through German defences after the D-Day landings. 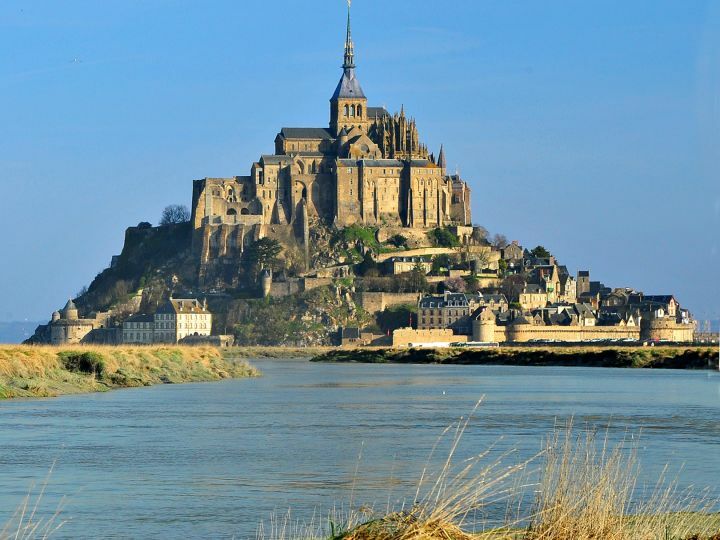 The sea is never far away and throughout the whole day we are treated to panoramas of le Mont St-Michel from different angles. After lunch in Avranches we continue around the coast, climbing up over the stunning Champeaux cliffs before descending into the town of Granville with its well preserved ancient quarter and 15th century ramparts, to find our hotel and another delicious supper to reward us for today’s riding. 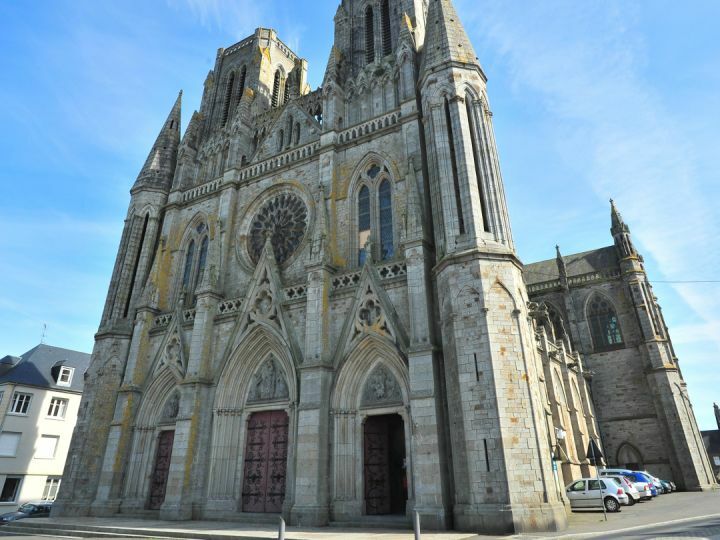 Following the coast with views to the Channel Islands on our left, we come to the town of Coutances. The cathedral here is one of the most important examples of Norman architecture – completed in 1274 it has remained basically unaltered since. The town also has a noted botanical garden. After lunch in Coutances the ride continues along quiet lanes through tiny Norman villages and hamlets nestled amongst fields and apple orchards. The charming timbered houses we pass sometimes date back to the 14th century. We arrive at our château-hotel in the village of Hébécrevon where we can relax in the extensive grounds before dinner. 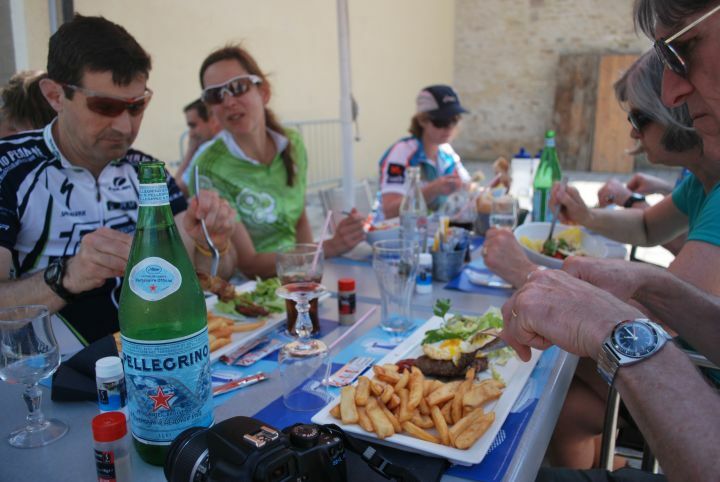 Monsieur Delisle, our host, rode the Tour de France for several years as lieutenant to 5 times winner Jacques Anquetil. The first section of today’s ride is a dedicated cycle track along the river Vire, so is completely traffic free (and flat !) The countryside is typical Norman bocage, fields and meadows divided by woodland, hedgerows and tiny lanes. Soon the landscape changes into the marshland of the Marais Cotentin, home to Herons, Egrets and a myriad of other waterbirds. We arrive in Carentan for lunch, perhaps by the magnificent 13th century Gothic church. After lunch the route takes us through the heart of the battlefields of the US invasion forces, past ‘Dead Man’s Corner’ and on to Sainte-Mère-Eglise. 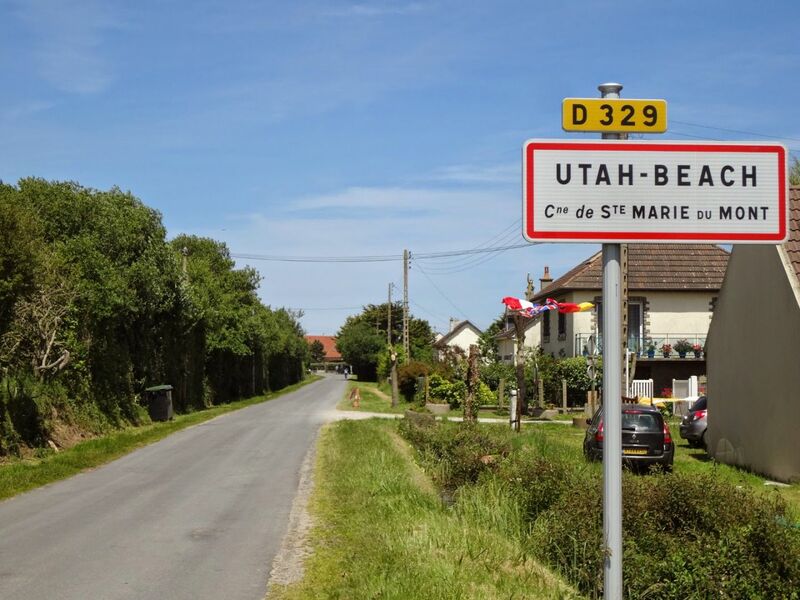 This village was made famous by the film ‘The Longest Day’ which includes the true story of the village which was the first town liberated on D-Day, by US Airborne Rangers who parachuted in under cover of darkness. We loop back to Carentan to stay there for the night. Today we follow the coast along the sites of the Utah D-Day beaches in the ‘American Sector’. First on the itinerary is Utah beach where we visit the D-Day museum. The landings on Utah beach were relatively casualty free, unlike the bloody battle that took across the bay on Omaha beach. Leading the invasion forces was Brigadier General Theodore Roosevelt Jr; amongst the soldiers were author JD Salinger and future US Senator Philip Hart. We come back to Carentan for lunch, then continue around the bay and back to the coast. 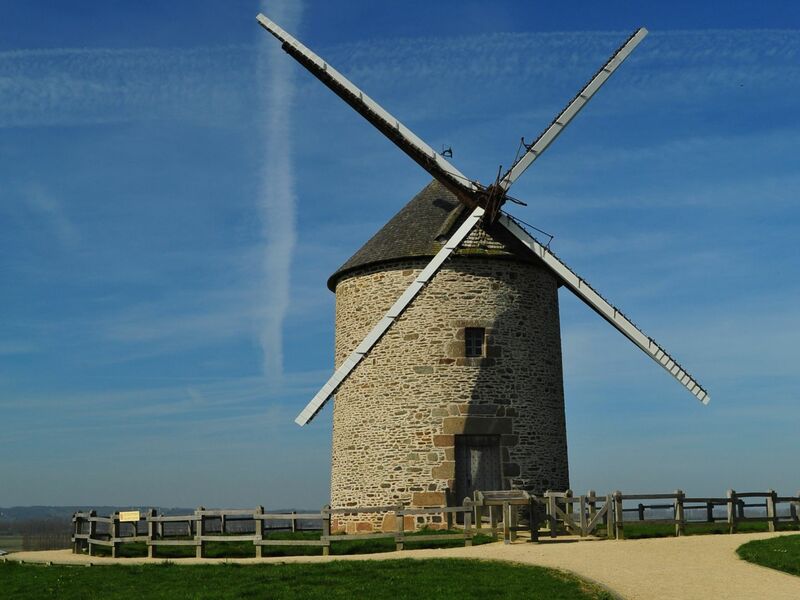 On the way we visit Isigny, noted for its fabulous dairy products – it is the only French village to have an appelation controllée for its butter, cream and cheese. The day finishes in the town of Bayeux, where we will be spending the next two nights. This will give us time to take in the wealth of history in the town – the splendid Cathedral dating from 1077, the celebrated Tapestry depicting the Norman Conquest of England, and Lace and Embroidery workshops. 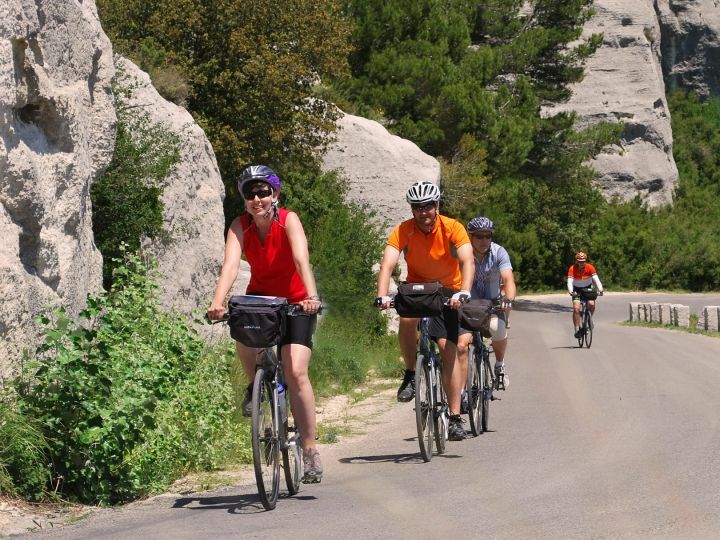 Those who wish can opt for a shorter ride today and spend more time in Bayeux. The full day’s route takes us out to Omaha Beach. Omaha beach was the site of the fiercest fighting in June 1944, and our route takes us past reminders of the sacrifices made for the liberation. The American Cemetery, with lines upon lines of identical crosses (with Star of David stones interspersed) is a moving experience. We carry along the coast at Longue-sur-Mer where we can visit the German gun emplacements which have been preserved. Next is Gold beach, where the British forces came ashore, and Arromanches with the remains of the ‘mulberry’ temporary landing stages still visible in the harbour. Alternative routes are if Juno beach, - the ‘Canadian’ beach, scene of fighting as heavy as Omaha – is of particular interest. The road back to Bayeux takes us through the village of Creully with its 12th century chateau – also home to an umbrella making trade, whose workshops we can visit. Finally we complete the week with a short ride back to Bayeux, where dinner in the old town will round off an unforgettable week. Total distance: 56km / 35m. After breakfast, you might like a last stroll around the medieval streets before making onward journeys. A charming 3* 19th Century Manor House overlooking the bay of le Mont-St-Michel. Its peaceful setting is complemented by comfortable individual rooms and a restaurant specialising in the local salt-meadow lamb and fish and seafood from the Normandy coast. A completely renovated 3* 'belle epoque' hotel, the Hotel les Bains is a fine example of the turn-of-the-century heyday of French coastal resorts, when the well-heeled of Paris would flock to the beaches for their summer vacations. 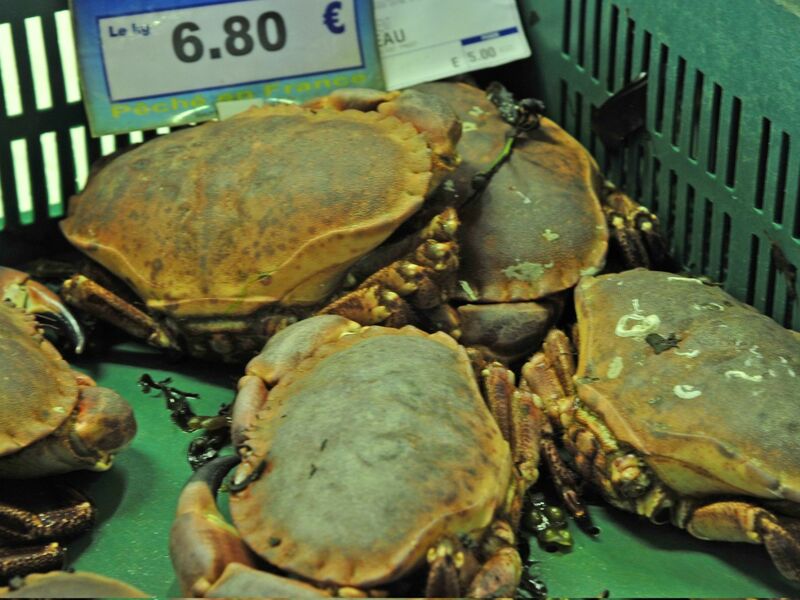 There is no restaurant at the hotel, but this is no problem as a short stroll down to the port are plenty of fine restaurants serving fish and seafood fresh off the boats. This 17th Century Chateau is found at the end of a long poplar-lined drive, and features individually furnished rooms with exposed beams and canopied beds. The grounds have lakes with ducks and swans. The evening meal is taken by the fire in the baronial dining hall. Set in a 30 acre park, the 18th Century Chateau was a residence of James Stuart, James II of England and VI of Scotland. A heated swimming pool can be found in the extensive grounds, and the kitchen specialises in Norman cuisine which is served either in the grand dining room or on the terrace overlooking the estate. Five minutes from the centre of Bayeux, you will find this 18th century château with a Michelin-starred restaurant on site offering regional cuisine, elegant interiors and three acres of greenery. The bedrooms are divided between the château and the manor. Tucked away in the park are a 16th century dovecote, a chapel and the swimming pool. A fitness suite, sauna, bubbling bath, tennis court and billiard table are also available for guests to enjoy.